Boost your ranking on Google with High quality backlink and submit your weblog and website to over 1000 search engines like google. Get increase in rating within 20 to 25 days. No need to pay thousands of dollar to huge SEO company. We don’t waste your money and time like other SEO services. We provide real SEO that brings result. We simply do the precise, what Google wishes to rank a site on. The Authority of Domain and quality external link building is the main part of Google ranking factors so you need of huge Quality Backlinks from high Authority Domains. 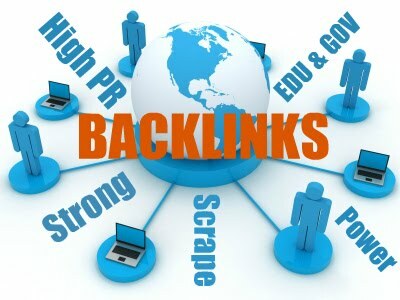 High quality backlinks from High DA&PA sites:- I will post unique backlinks version of an article that is relevant to your niche to each website. All the website have DA50+ and are do-follow. 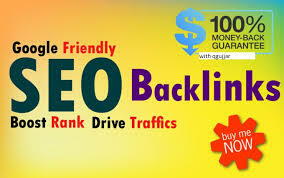 High quality backlinks from DA30+ social networking site:- Title and description will be spin each time before posting. Wiki backlinks on tier-2 which will be drip feed for 1 month to give this campaign more power. "You will get a complete report of all tier-1 backlink excluding wiki links". The increase in ranking will depend upon current ranking. Don't expect to get 1st page ranking with only 1 campaign for high competitive keywords. You may need 2-3 campaigns to achieve 1st page on Google. Please check On-page SEO before ordering this service. If you are not sure just send us a message with your 3 keywords and website URL, We will give you free SEO suggestions. Please Read everything before you place any Order. We don't want any misunderstanding after delivering the project. GOOGLE FIRST PAGE...rank your site to First page on google with quality high ranking white hat tool updated verions is ranked 5 out of 5. Based on 16 user reviews.